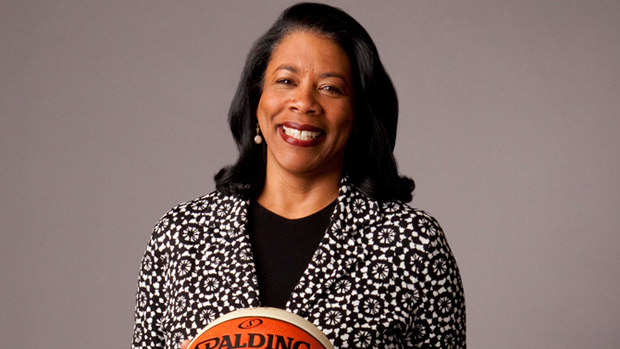 NEW YORK, April 21, 2011  Veteran marketing executive, Laurel J. Richie, who brings more than three decades of experience in consumer marketing, corporate branding, public relations and corporate management, has been appointed President of the WNBA, NBA Commissioner David Stern announced today. Richie will be responsible for the day-to-day operations of the worlds premier womens sports league, which tips off its historic 15th season this summer. She will assume her new role on May 16, 2011, reporting to NBA Deputy Commissioner and COO Adam Silver. Prior to working at Girl Scouts of the USA, Richie worked at Leo Burnett Worldwide, an advertising agency based in Chicago, from 1981-1983, where she worked on a host of Procter and Gamble brands. In 1984, she moved to Ogilvy and Mather, where she spent more than two decades building brands for blue chip clients including American Express, Pepperidge Farm and Unilever, among others. During her tenure at Ogilvy, she led the team that helped Huggies become a multi-billion dollar brand. As Senior Partner, Executive Group Director with responsibility for a portfolio of global brands, her team was among the agencys most productive and profitable. She continues to work with Ogilvy as a founding member of its Diversity Advisory Board, supporting efforts to attract and retain top talent. Richie is a recipient of the YMCA Black Achiever's Award and Ebony magazine's Outstanding Women in Marketing and Communications. Earlier this month she was named one of the 25 Influential Black Women in Business by The Network Journal. A graduate of Dartmouth College with a BA in Policy Studies, Richie lives in New York City.